Simon P. Gourdine, once the highest-ranking black executive in the NBA died Thursday in Englewood, N.J. He was 72. Born July 30, 1940 in Jersey City, he graduated from City College in 1962 and Fordham Law in 1965. Before beginning his tenure with the N.B.A., he was an Army captain in Vietnam then an assistant United States attorney in New York. Although he was a groundbreaking basketball executive, Mr. Gourdine (pronounced gore-DEAN) had no athletic background. He was a lawyer, and he went on to hold many posts in New York City government, including commissioner of consumer affairs under Mayor Edward I. Koch, deputy police commissioner and chairman of the city’s Civil Service Commission. Mr. Gourdine joined the N.B.A. as its legal counsel in 1970 under Commissioner Walter Kennedy. 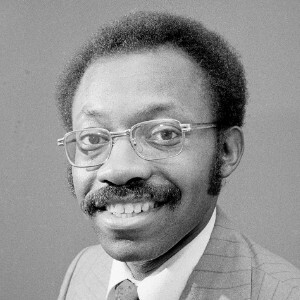 He became a vice president for administration in 1972; was named to the league’s No. 2 post, as deputy commissioner, in 1974; and hoped to become commissioner after Mr. Kennedy stepped down. This entry was posted in Social Page by OBABL Staff. Bookmark the permalink.